Wauconda, IL, May 9, 2018 – Synergy Flavors, Inc., a leading supplier of flavors, extracts and essences for the global food and beverage industry, recently announced its acquisition of Janoušek, one of the world’s first suppliers of herbal extracts and natural flavoring and an expert in Italian flavor profiles. Janoušek, based in Trieste, Italy, has been serving customers in Italy and Eastern Europe for 135 years. 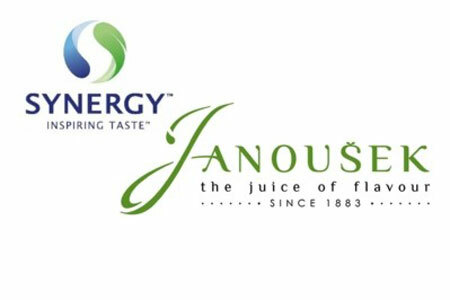 The acquisition of Janoušek will enable Synergy Flavors to expand into these European geographies and to provide its expertise in areas such as nutrition and dairy to these markets. Synergy Flavors, part of Carbery Group, has commercial, manufacturing and technical support facilities in Ireland, the U.K., the U.S., Brazil and Thailand. Synergy Flavors, Inc.is a leading supplier of flavors, extracts and essences for the global food and beverage industry. Its Synergy Pure® coffee, tea, and vanilla extracts and essences capture authentic flavor and aroma from nature. Synergy offers high-quality taste solutions to inspire innovation that allows its customers to retain their competitive edge in a global market. Synergy Flavors is committed to sustainability and is taking active steps to reduce its carbon footprint throughout every stage of its business activities. Visit www.synergytaste.com for more information.